Been a long long week and we needed some wine to wind down the week, and since was craving Italian we decided to check out Spizza along Club Street which has been sitting in our to-go list for a while now. We made a reservation for 730, and while the place wasn't packed when we arrived, turnover was pretty quick and the place was continually packed from 8 onwards. Apparently the pizza chefs make each pizza fresh from the oven which is right at the entrance - pretty neat! 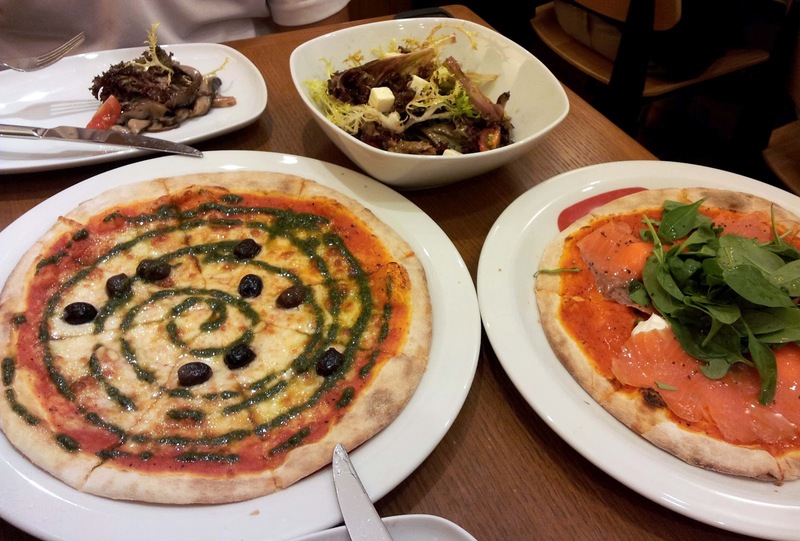 They even do a Standard Chartered credit card offer for 1-for-1 pizzas. We ordered two pizzas and a salad to share. After taking some photos and dishing out the salad and tossed it a little bit, we were perplexed by the absence of the feta cheese! We very kindly pointed it out to the waitress who returned with our feta cheese supply - unfortunately though the cheese was kinda odd, rock hard and cold which is unlike the room temp, crumbly feta that I'm familiar with. 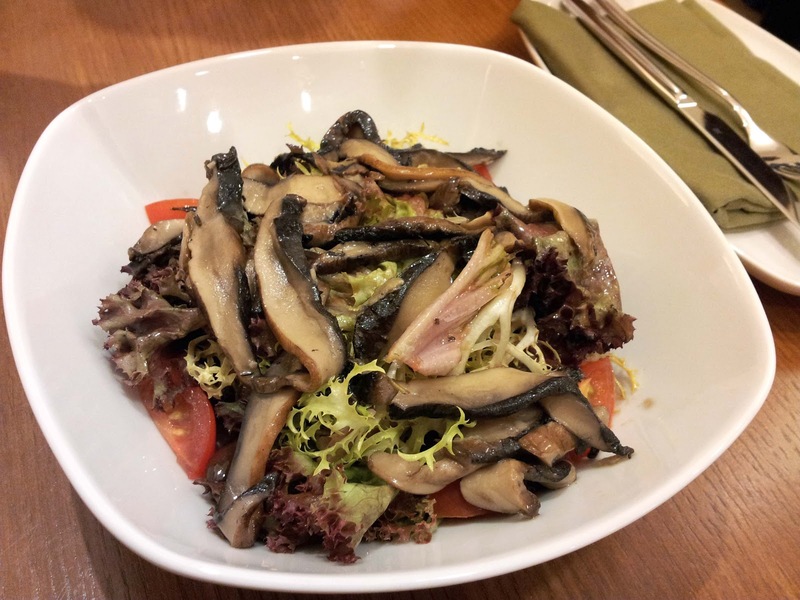 The salad itself was nothing too great - a little too much balsamic though generous with the mushroom. Pizzas arrived shortly, and at first glance ... we weren't too hyped about it. The ingredients seemed spread a little sparsely! And $18 for a pizza of this size is honestly a little expensive (ignoring the 1-for-1 offer). But after the first slice my opinion quickly changed - the crust was of a perfect thickness and crispiness, just slightly heftier than Skinny Pizza and yet sooo light and crispy! And in comparison, the thickness of the cheese is equivalent to the thickness of the crust, so there was actually A LOT of cheese. My main gripe in many pizza places is that they skimp on the cheese - without a good cheese base you're not gonna get much flavour out of the pizza. 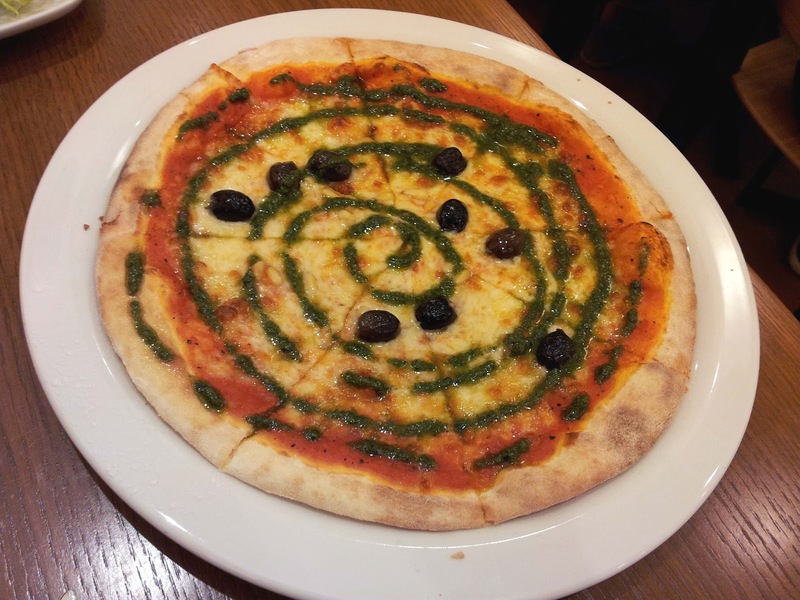 For this pizza itself, again at first glance we thought it could use more pesto, but the pesto was actually really strong so the flavour balance was definitely done well. Could have used a little more olives and still no complaints at all! I wonder if they named this Ursula from the Little Mermaid? As in.. ocean = fish = salmon? Anyway, we really enjoyed this too. Plenty of smoked salmon to go around, and just enough cream cheese for that balanced flavour. 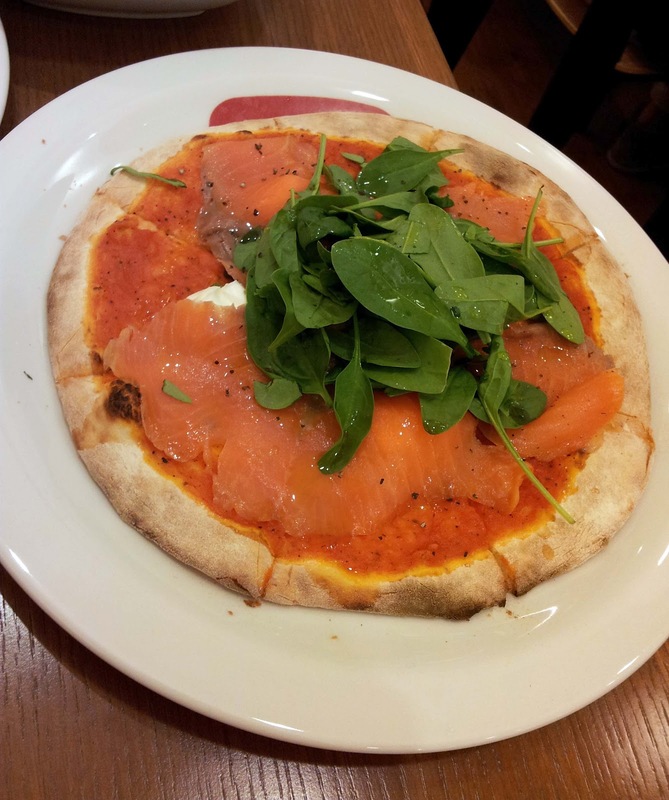 We declare this is one of the better pizza places we've been to, and this is also very centrally located. It's especially great value if you're a StanChart cardholder. Special thanks to Ming Hui for the 1-for-1 voucher!